Correction, Beyoncé: we’re talking specifically Camp Exec Girls. 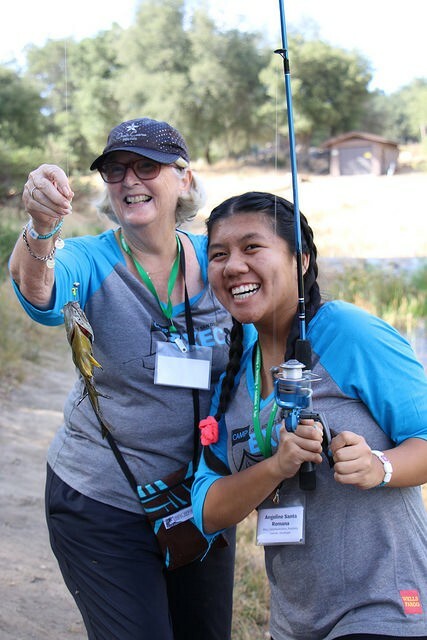 In celebration of International Women’s Day, this post is dedicated to the 34 Girl Scouts and 20 female mentors who took part of this past September’s Girl Scouts Camp Exec in San Diego. Even more, these 54 women were the very first to be part of Live Offline’s Spark bracelet pilot during an unplugged weekend away from TVs, laptops, and phones. 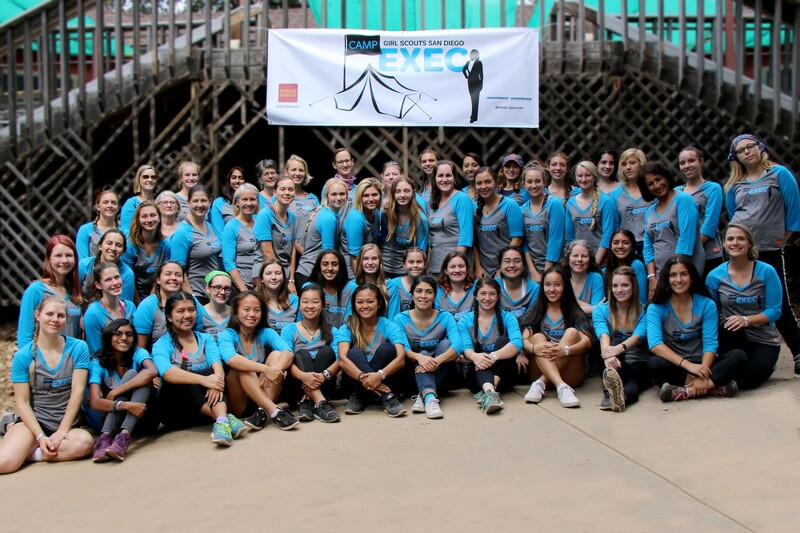 Camp Exec is a weekend leadership camp for sophomore, junior, and senior Girl Scouts to be mentored by high-level professionals from a variety of industries. This isn’t any ordinary camp with just s’mores and fun outdoor activities (although there was plenty of both!). We’re talking a weekend learning from and connecting with role models around you — whether it’s out on the ropes course, fishing, doing archery, or applying freshly learned networking etiquette skills at a mocktail hour. Setting a status was as simple as flipping the bead to display outwardly. Otherwise, the backside of the bead would display Live Offline’s logo — the no-wifi connection symbol — serving as a reminder to opt for screen-free time. Think of it as wearing your social media status on your wrist but encapsulated in a single icon. When someone shares a status online, it’s an open invitation to comment or engage on that topic. Could the same be true if it was openly visible to the community physically around them? A unique aspect of this particular gathering was that all attendees had to take the Cliftons StrengthsFinder assessment prior to arriving. The camp organizers then placed everyone into groups of 4–6 mentees for every 1–2 mentors based on a common strength. I could directly observe the usage of the bracelets during meal time and activities. I often curiously asked about the statuses they set on their bracelets and found many of them set theirs to the “I’m feeling excited” or “Today I learned…” statuses. Although the weekend was primarily filled with natural excitement of a new experience and making new friends, it was telling to see how the girls and mentors used their bracelets to foster conversation. It was also a great opportunity to pressure test the bracelet under physical conditions like sleeping or showering with them, and organically brainstorm ideas on how to improve the overall usability. Needless to say, I left the weekend feeling inspired by our pilot participants as well as having made 53 new connections with some of the most accomplished women I’ve ever met in my entire life, both mentees and fellow mentors. Since the pilot, we’ve iterated on the concept to hone both its usability and intent. Be on the lookout for its kickstarter launch later this year! 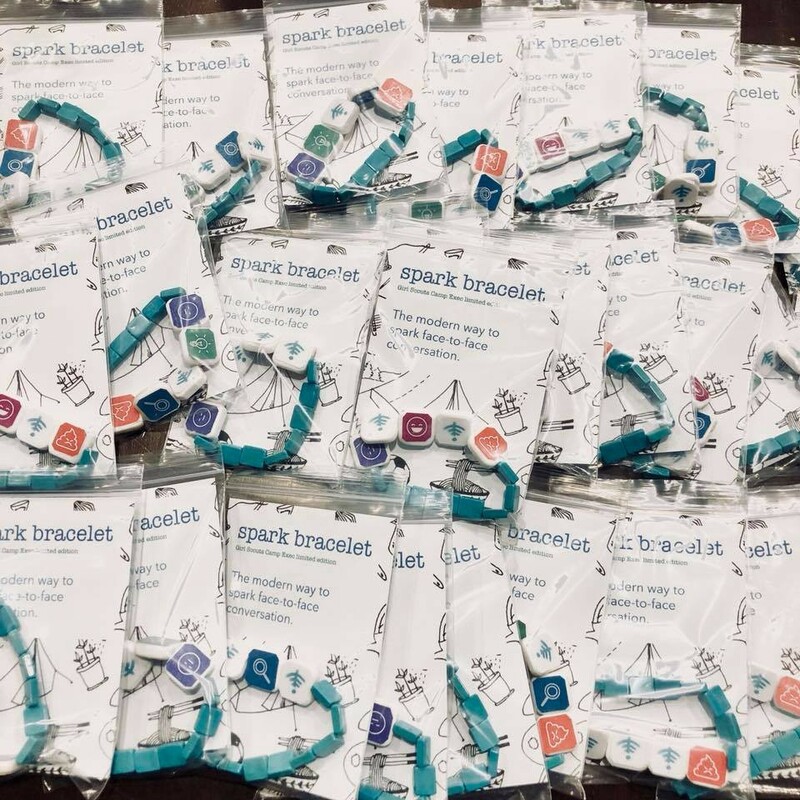 Want to be a test participant of the Live Offline Spark bracelet? Let us know! Live Offline envisions a world in which face-to-face conversation is valued above social media “connections.” Sign up for our monthly newsletter at www.letsliveoffline.com! A collection of articles to provoke a life of reduced screen time.